Take a look at the Muskoka upcoming yoga retreats and wellness & creative events at Muskoka Soul. 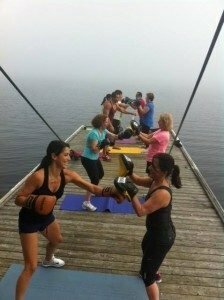 Relax, renew and restore your body at our 2 night women’s fitness and nutrition retreat at a luxury cottage on beautiful Lake Muskoka. Enjoy Pilates Fusion, meditation classes, hiking trails, culinary nutrition workshops, non-toxic beauty product DIY and truly gourmet holistic meals, prepared by our expert Private Chef. Absolutely any dietary requirements can be accommodated. Women of all ages and fitness levels are welcome! You will leave feeling refreshed, motivated and inspired with the tools to live your best life. This is about YOU. Hear what previous guests are saying! In keeping with TICO requirements (Travel Industry Council of Ontario), Guests pay Muskoka Soul Property directly for their accommodations. Spring brings joy and love, a sense of renewal and re-birth. Join us for our annual Yoga Retreat located on the shores of Lake Muskoka in the exquisite Cliff Bay house. • 5 nourishing vegetarian meals including a 5 course meal with exquisite wine pairings catered by Life Food Yoga. Alcohol is included for Beer Yoga class as well as 5 course wine pairings. You are also welcomed to bring your favourite refreshments. 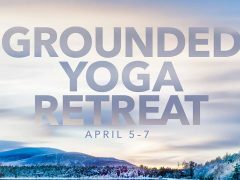 Join GoodLife’s Trainer of the Year, Jozef Shillolo along with Professional Yoga and Wellness Specialist, Rosanna Shillolo for a weekend of renewal, wellness and fun within the luxurious accommodations of Muskoka Soul retreat destination. $100 deposit required to reserve a spot. Remaining balance due by Sept. 21st. Space is limited to 8 so contact info@sunriseyogastudio.ca or escape@muskokasoul.com to book your spot today! You will leave feeling refreshed, more balanced and knowledgeable about how to live your best life possible. Take time out from your busy schedule to do something amazing for YOU, because you ARE worth it! 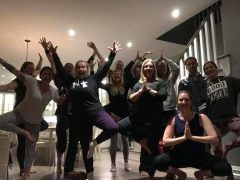 Warrior Reset, part of the Yoga Warrior series of retreats is a 3 night mini-retreat designed for the mature minded individual – let us elevate your already amazing life! 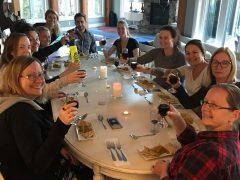 Join us this fall at a luxury cottage on beautiful Lake Muskoka, as we offer the ultimate Girl’s Getaway enjoying, yoga, meditation, hiking, wine tasting with farm to table meals! Bring your BFF. . . daughter. . .mother. . . and Fall into Yoga this October at Warrior Reset. Participants must be legal drinking age. All levels welcome. Bring your favorite wine and we can do a tasting of what we each enjoy! Prices in Canadian dollars. Participants must be 19 years or older. All levels welcome. Spa and Reiki services at additional cost.